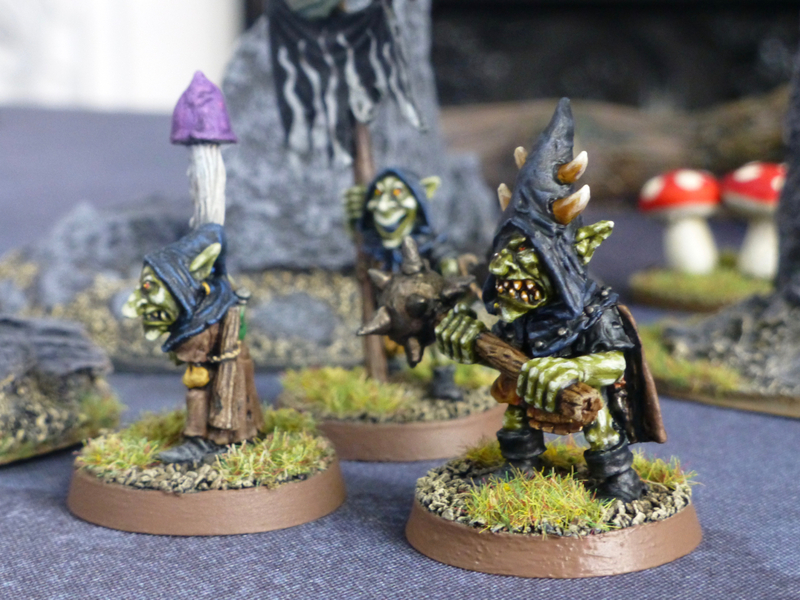 I finished painting the remaining Night Goblins from the Knightmare Miniatures range so my warband is expanded and as complete as it currently can be. 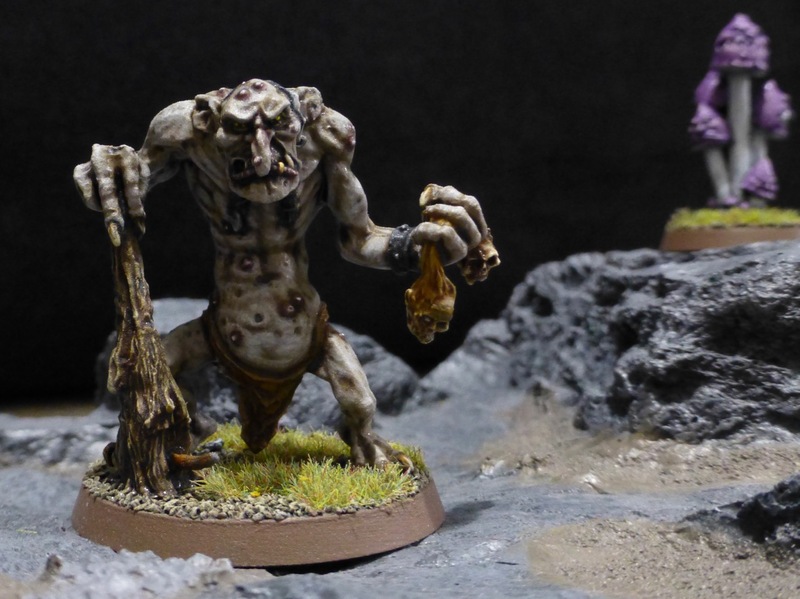 Thinking ahead for Saga, I can field three units of warriors, three trolls (I assume there will be some monster/monstrous creature slot), a shaman/wizard and the warlord. While looking for any release info or beta rules that might be floating around (no luck there), I did come across a fan made project called A Fantastic Saga. Haven’t tried it, but clearly a lot of work has gone into the expanded rules and fantasy races that are available, so definitely worth checking out. 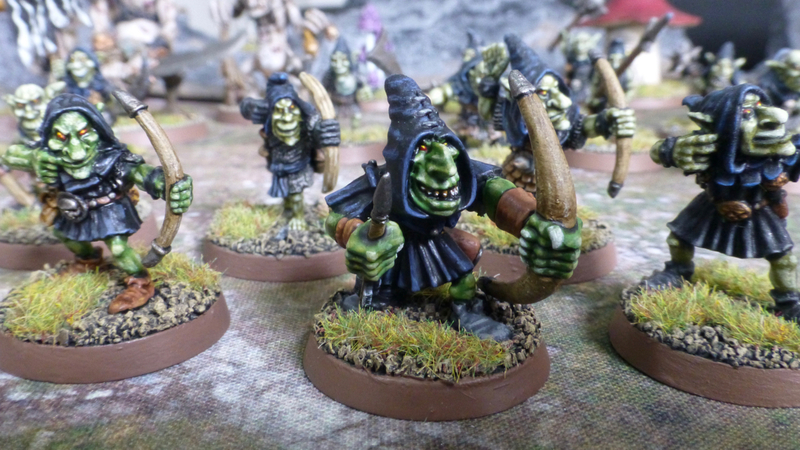 Using the Kobaloi list, I could field my Night Goblins as a 6 points force. This week will see me dusting off my copy of Frostgrave to finally have a game. A mate and I are planning on getting a campaign going, hopefully recruiting along the way. Rather than setting the story in Felstad, we’ll be drawing on the background of the Old World however, so it is more akin to Mordheim with wizards and various fantasy races. As gangs, I am therefore drawing on my existing Warhammer Fantasy Battle armies without having to paint everything from scratch. 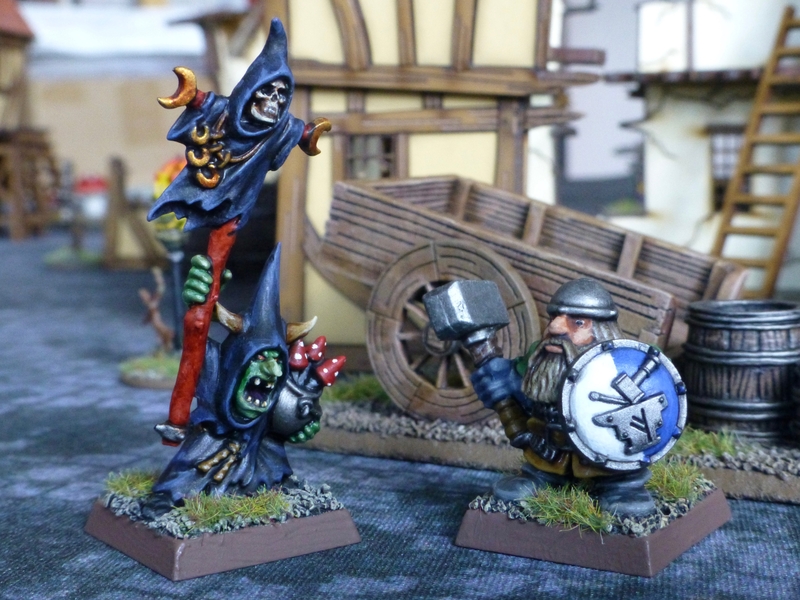 For the first gaming session I put together Night Goblins, Dwarfs and Undead, only needing to finish painting a shaman and warrior of their respective armies which had been long overdue anyway. While there are no different racial characteristics and stats in Frostgrave, I selected the war bands to reflect some of their archetypes. 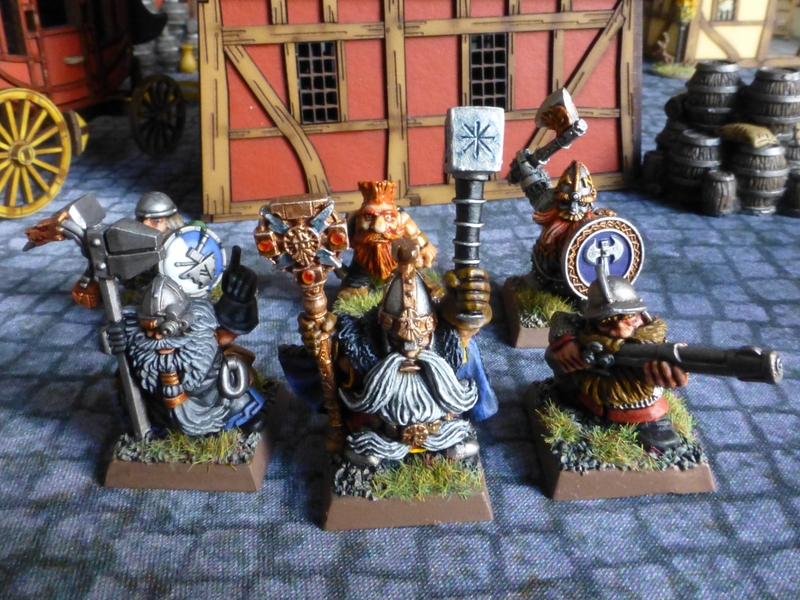 The Dwarfs are fewer in numbers but with better equipment and stats due to their troop types. 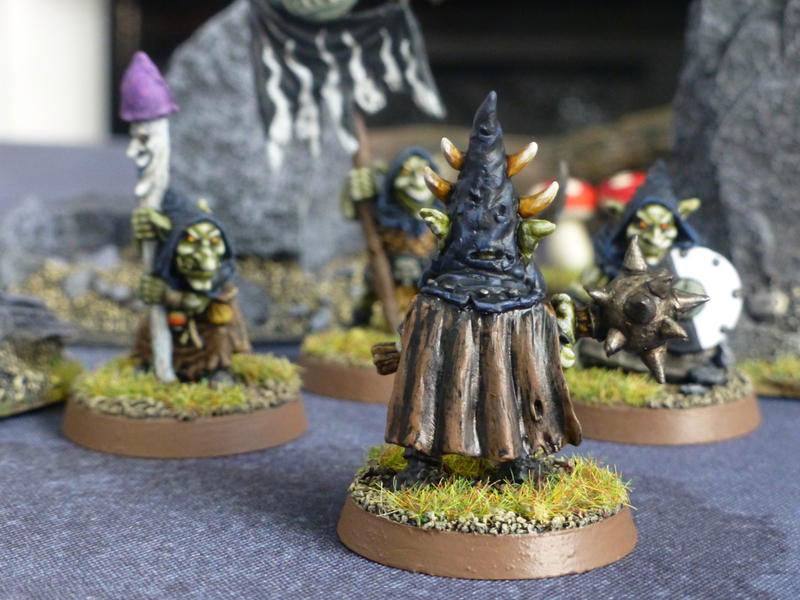 For the Night Goblins I am mainly using the Kev Adams sculpts by Knightmare Miniatures, reinforced by some Citadel figures from my Warhammer Fantasy Battle army. 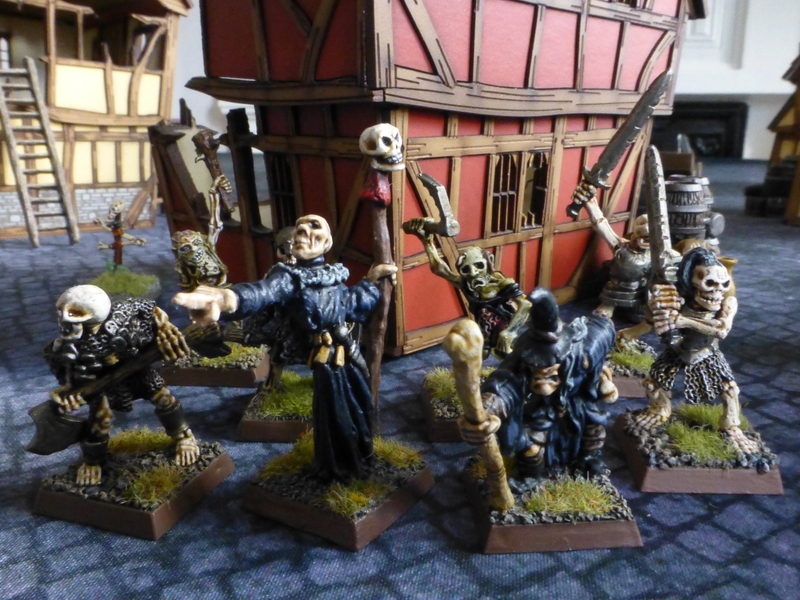 The Undead are raised from my Warhammer 3rd Edition forces, with zombies representing thugs and skeletons other troop types. 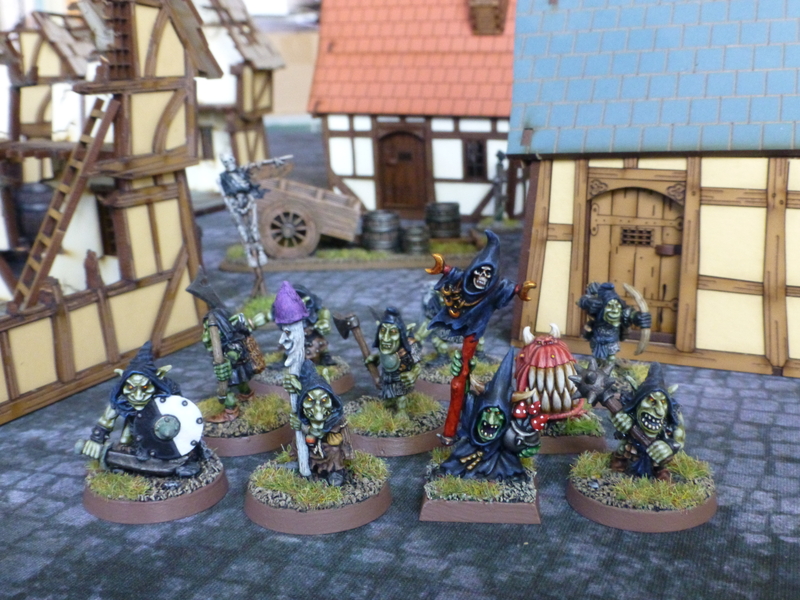 How these work as gangs in Frostgrave, we’ll find out. A drawback of using “soldiers” from other armies is the lack of figures representing certain character classes like thieves, but with a bit of artistic licence and kit bashing I could add them where needed. In any case I would want to stick with classes to fit a certain fantasy race, and where that is the case, miniatures will also be easier to find. 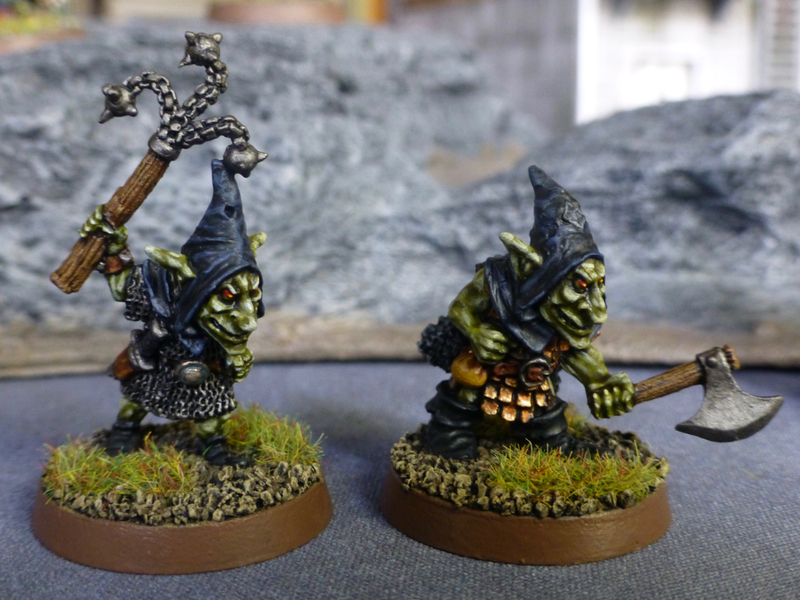 I have added a couple of expansions from Knightmare Miniatures’ latest Kickstarter of goblin sculpts by Kev Adams to my collection. 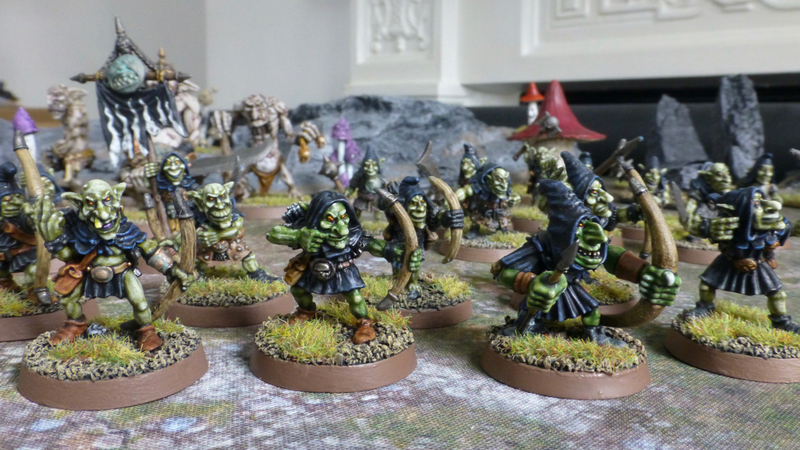 The Doom Goblins in particular, which are the only faction I have painted so far, were in need of reinforcements. I’m also looking forward to the fantasy expansions for Saga 2 which I’d like to use for warband size forces like this. While not clear yet how the system of heroes will work with magic users and monsters, it already makes sense to organise all the troops into units of 4, 8 or 12 respectively. 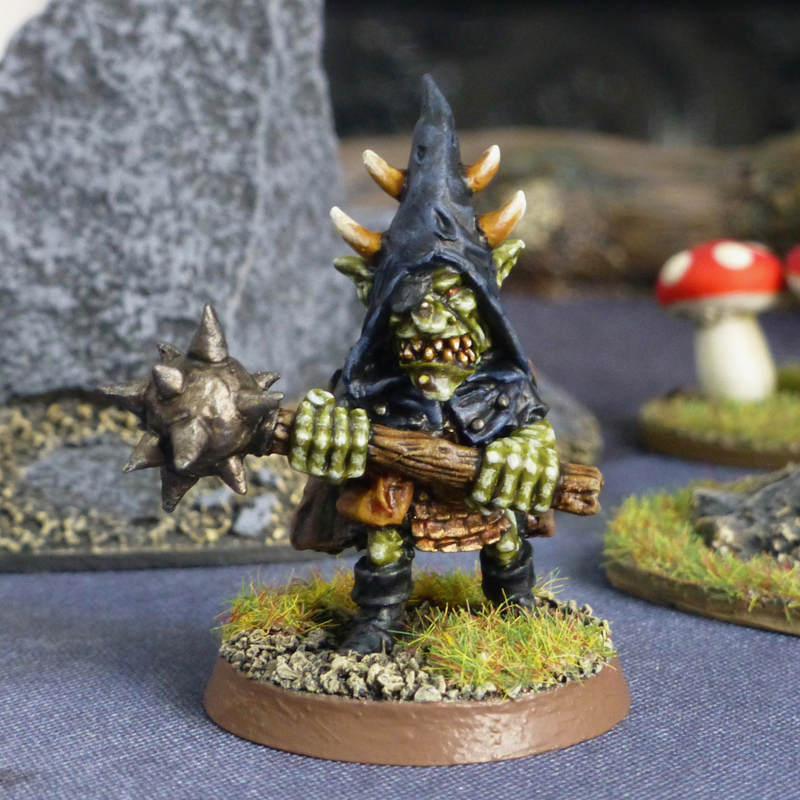 For archers I was still short, so after adding another bow armed figure from the range, I also glued together and painted a plastic Citadel Night Goblin. 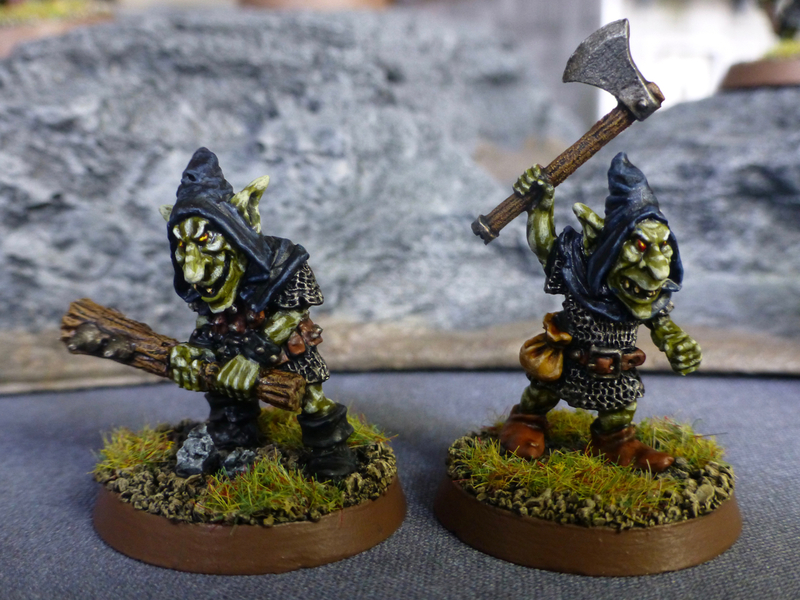 I do like the style Brian Nelson gave the Orcs & Goblins back then, though their faces were much more repetitive than previously. This particular multi-part plastic set was one of Citadel’s earliest, and the proportions are all over the place, making it pretty much incompatible with any Night Goblins they released before and after. 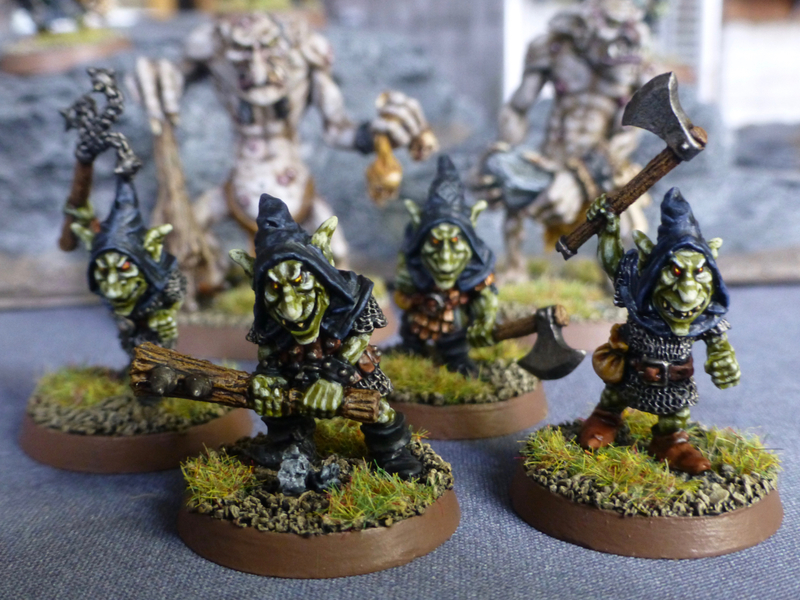 As a tribute to the evolution of the Night Goblins, I like having one of these guys in the warband though. With the new sculpts to be delivered soon, I can form another unit of 8 warriors, which should give me a minimum of 4 points of troops to use in Saga. Since archers are often classed as levies, 4 more to increase this group might also be useful, but I’ll see about that once the army lists are out. 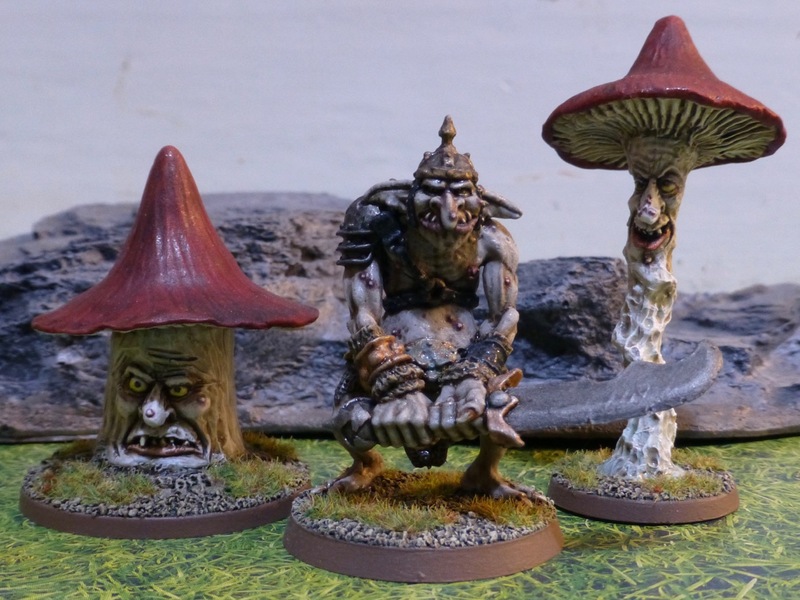 I completed the final troll and fungi for my Doom Goblins with these impressive specimen from Knightmare Miniatures. 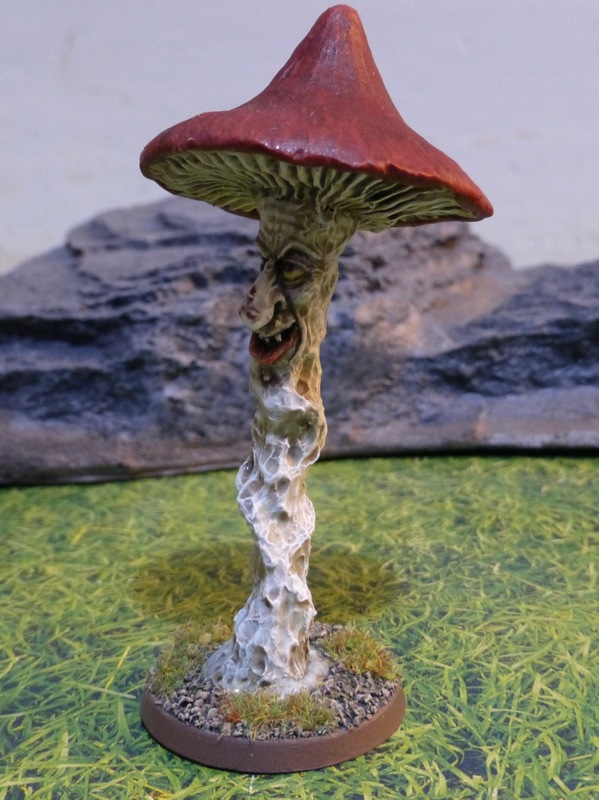 The mushrooms have grown to truly giant proportions and are probably worshipped by the Doom Goblins or consulted as deranged oracles. The cave troll must be a champion of its kind, gifted with an unusual intelligence and cunning that let’s him appreciate the benefits of metal armour and bladed weapons. 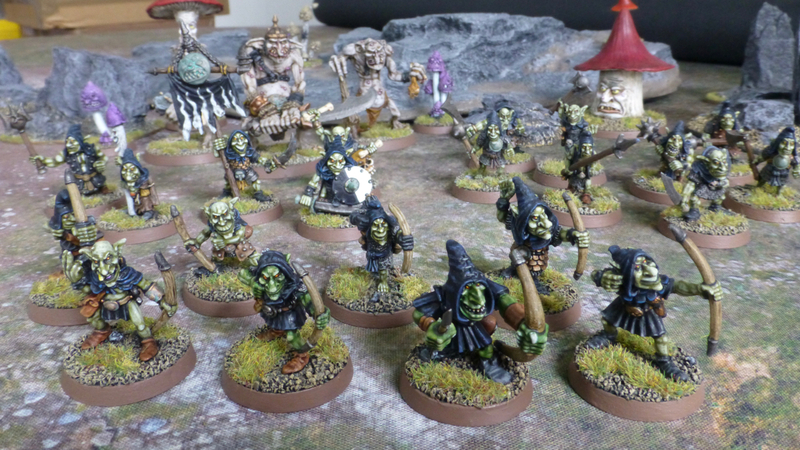 My plan was to complete 18 point forces for Dragon Rampant, but since I have enough miniatures already to muster 24 points for Hill Goblins and Steppe Goblins, I might extend the Doom Goblins as well. Also, I have a few spare guys with spears now since I placed another order from Knightmare Miniatures for a set that wasn’t included in the Kickstarter. So I am thinking, maybe add some squig herders? 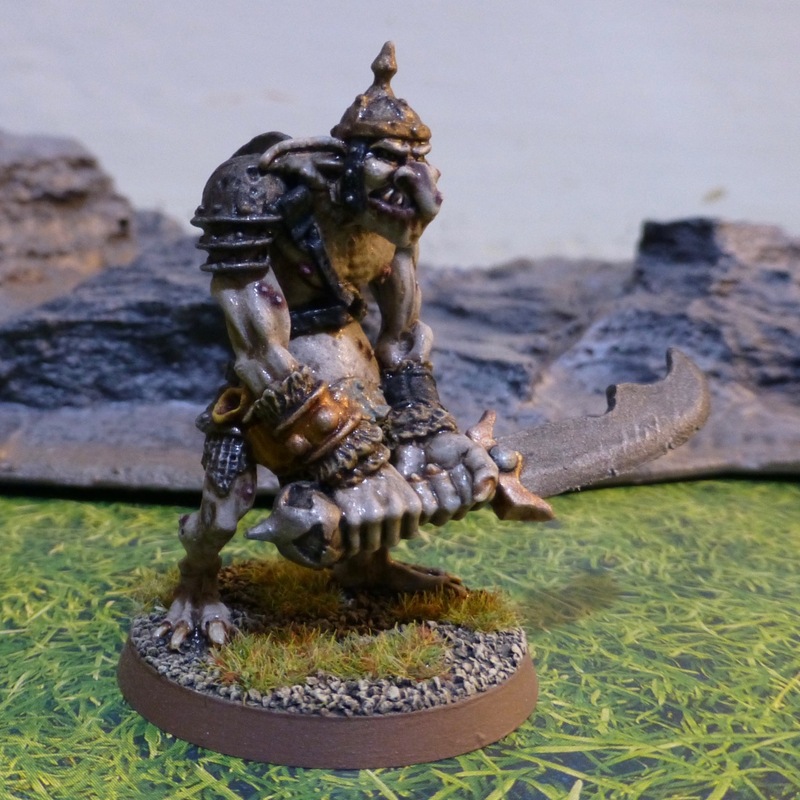 I finished the second Cave Troll from the Knightmare Miniatures Green Skin Wars range to bolster my Night Goblin raiding party for Dragon Rampant. Once the third troll is finished, I’ll probably field them as a reduced model count unit of Bellicose Foot with Mystical Armour, to represent their regenerative abilities. 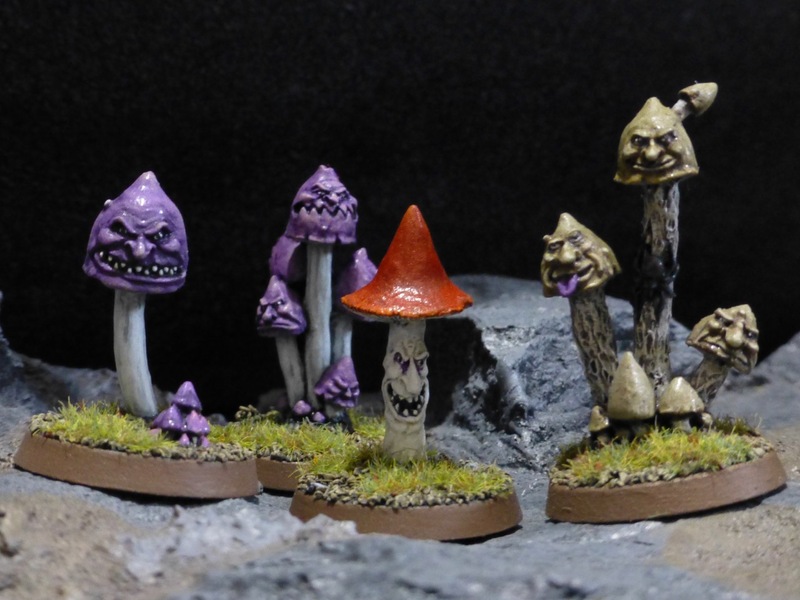 The Kickstarter campaign also included a bunch of… sentient mushrooms I guess? 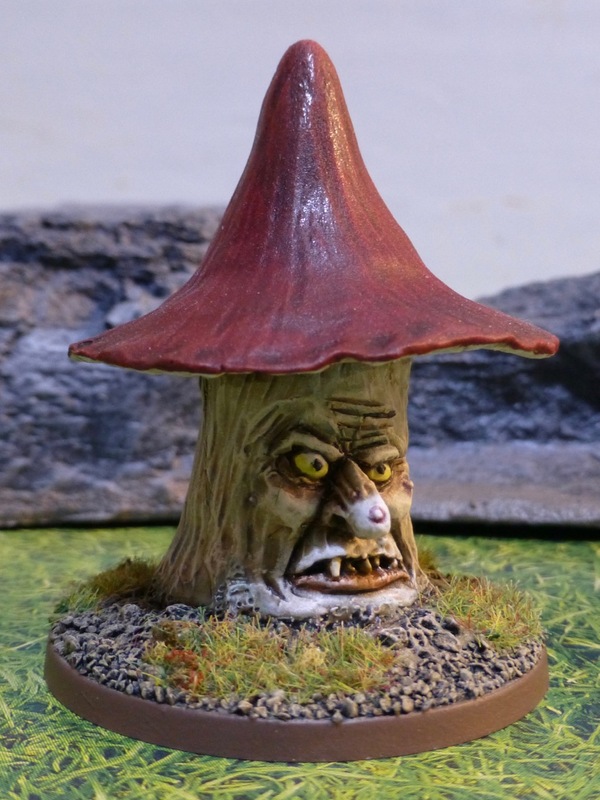 As anyone knows, Night Goblins and mushrooms go together perfectly, so I am painting them up as themed terrain, or maybe even a playable unit in their own right. 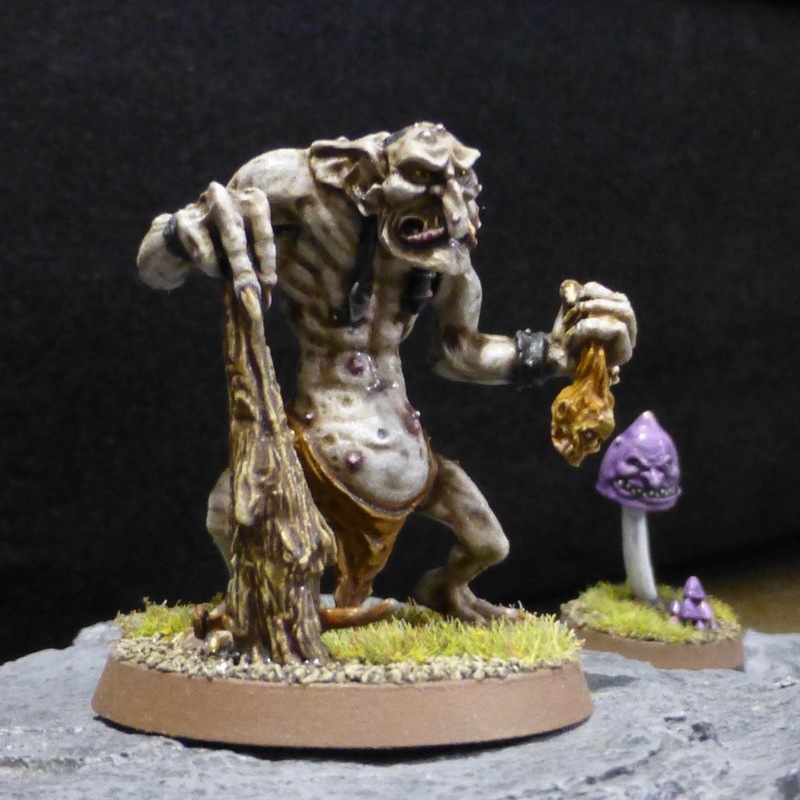 The sculpting on the troll is once again excellent, and its facial expression one of the most characterful I have ever seen on a miniature.